Your favourite fabric. 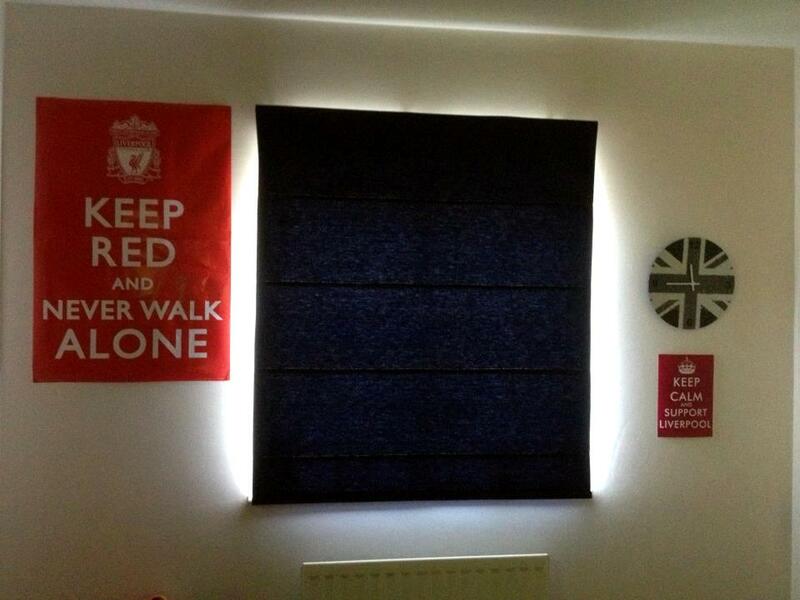 Your Roman Blind. 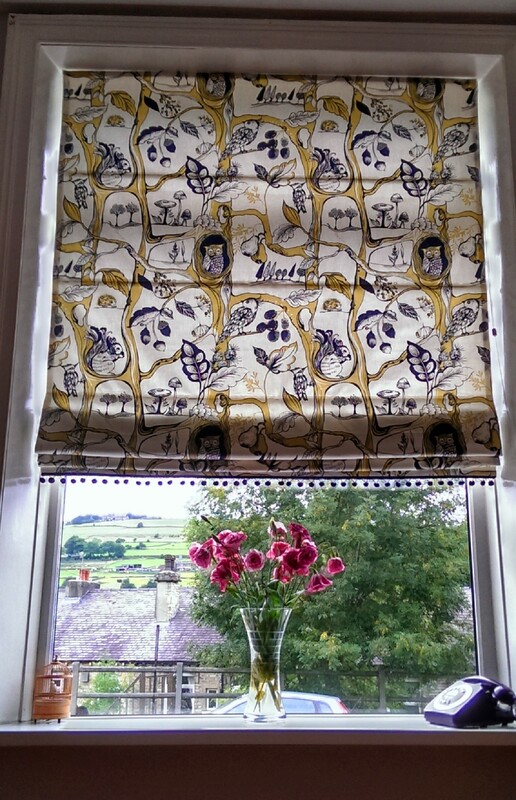 Coppy Bridge Roman Blinds was founded in response to the demand for quality, bespoke Roman Blinds, made to measure and available via mail order. If you have any questions about our services, contact us at any time. Scroll down or use the links on the right, to see some of our work. 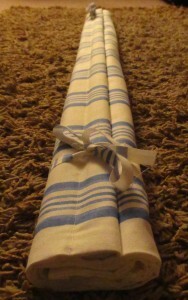 Tags: mail order, Roman Blind, soft furnishings. 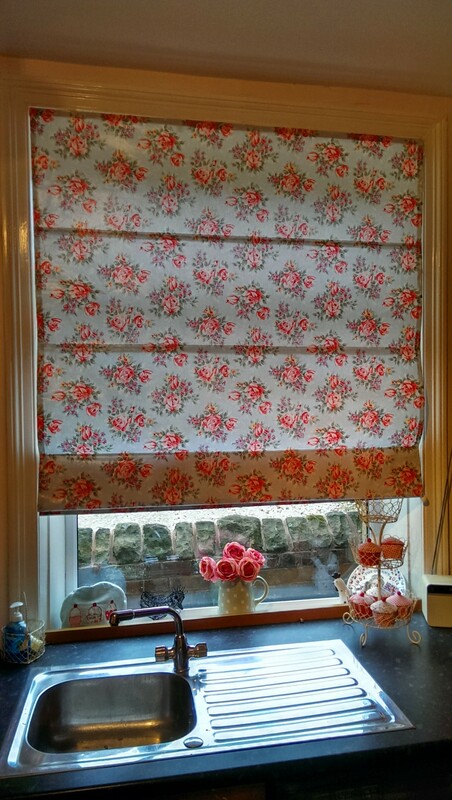 Lisa first approached us quite some time ago, with a need for a gorgeous Roman Blind in a Laura Ashley fabric, and an Oilcloth Blind too. Both of them had been our pleasure to make for her. 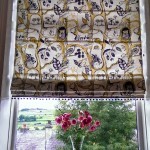 Naturally we were delighted when she contacted us again, for a special Roman Blind in a fantastic printed fabric. 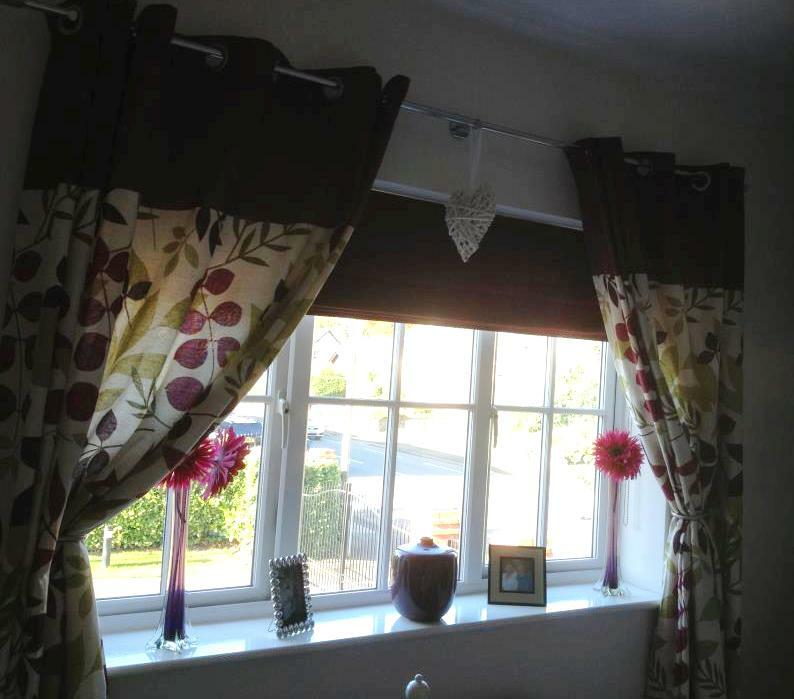 Lisa had already covered a lamp with the fabric, adding a lovely pom pom trim so her Roman Blind needed to be that little bit special, too. 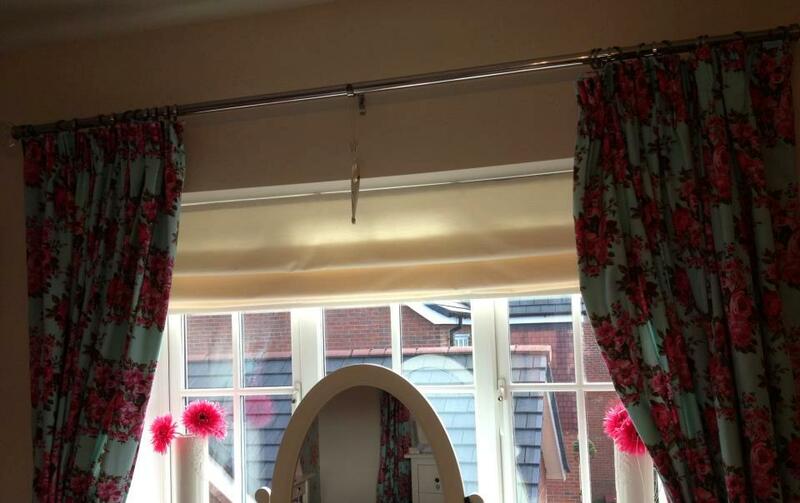 Lisa’s Matching Lamp and Roman Blind, with wonderful pom pom trim detail. 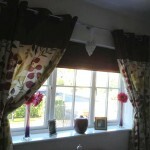 We hope Lisa and John enjoy the Roman Blinds, plus of course everyone else who visits their home! 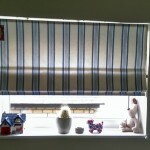 Tags: Bedroom roman blinds, Huddersfield, Kitchen Roman Blind, Laura Ashley, Lisa, mail order, Oilcloth, Roman Blind, Window. 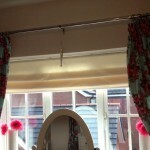 Tony asked us to make Roman Blinds for bedrooms throughout his home. 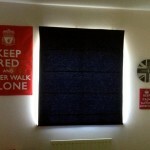 We provided blinds in maroon, cream and navy blue for the different rooms to complement the styles chosen by the family. 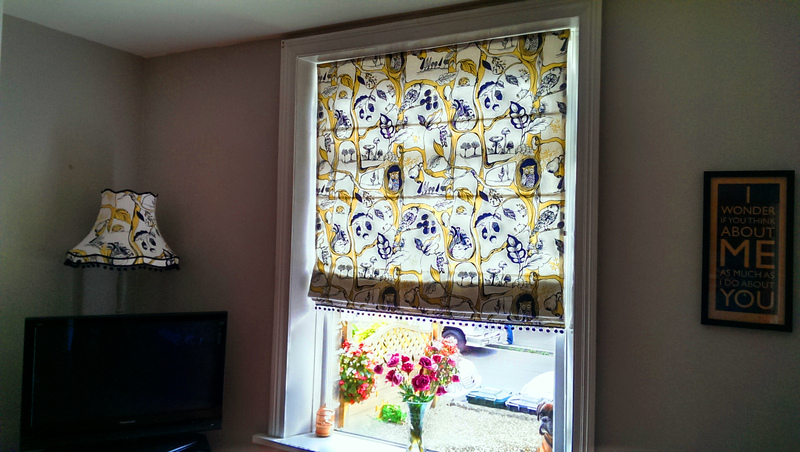 Tony’s family seem really happy with their Roman Blinds and if they’re happy, we’re happy! Tags: Bedroom roman blinds, Blue Roman Blind, Cream Roman Blind, Maroon Roman Blind, Rochdale, Roman Blind, Window. 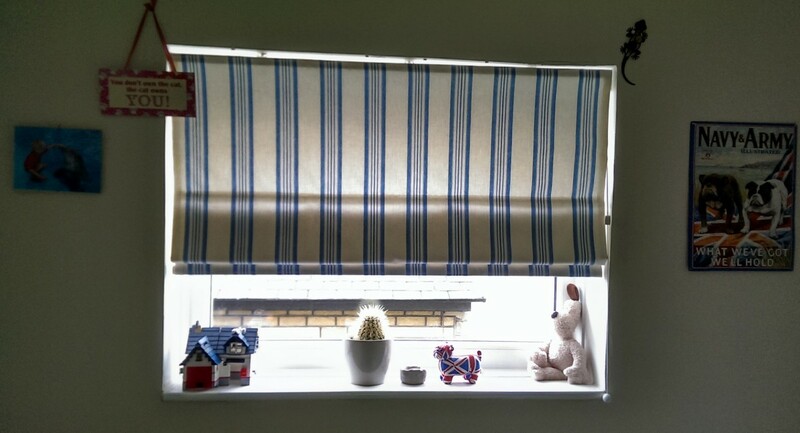 Lisa had ordered a Roman Blind from us before, and came back to us for a Roman Blind in a beautiful blue “Boys Thomas Blue Stripe” fabric from Laura Ashley. 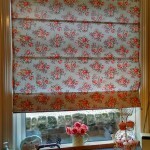 The fabric was a pleasure to work with and the finished Roman Blind looked lovely. We hope that Lisa will be very happy with it! Tags: Boys Thomas, Laura Ashley, mail order, Roman Blind, Window.